The South Carolina Supreme Court has shone a light on a legal grey area impacting homeowner associations in the Palmetto State. On February 22nd, the Court issued an opinion in Rogers Townsend & Thomas, PC v. Peck. At issue — whether HOAs may engage in certain conduct before South Carolina courts with a third party non-lawyer agent. The ruling turned on the Court’s interpretation of “agent” – “individuals who are not officers or employees, but who have some nexus or connection to the business arising out of its corporate structure.” Notably, the Court indicated a Board member of an HOA may qualify as an agent, and, therefore, be permitted to engage in the conduct listed above before South Carolina courts. But, third party non-lawyers are not. Read the full opinion — 27707 – Rogers Townsend & Thomas, PC v. Peck. 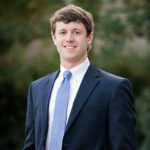 Elliott Daniels and Cordes Kennedy are associates with Murphy & Grantland in Columbia. M&G legal teams defend insurers, businesses and organizations (including HOAs) before state and federal courts and other regulatory venues. This article is published as a service to our clients, contacts and friends. It is intended to be informational and does not constitute legal advice.